The painful mechanical instability of the lumbar spine associated with spondylolisthesis and degenerative disk disease is difficult to manage. Patients experience symptoms associated with compression of the nerve roots and cauda equina. Back pain is usually the primary complaint making it important to differentiate the pain from that caused by musculo-ligamentous strain. It is for this reason that we stress the importance of extensive conservative therapy before considering surgical intervention. Plain x-ray flexion/extension films may demonstrate movement of one vertebral body over the other as well as reduced disk space height. A positive diskogram, where injection of radiopaque dye into the affected disk reproduces the patients pain and outlines a fissured or ruptured disk, localizes the level of involvement and is helpful in some cases. While compression may be caused in part by herniation of the disk, diskectomy alone is not effective in providing relief since additional impingement is produced by the reduction in disk space height and abnormal amount of movement allowed by the joint. When conservative measures have failed, fusion of the joint has been the treatment of choice for relief of pain. Fusion, however, limits flexibility of the spine. Disk replacement maintains flexibility. 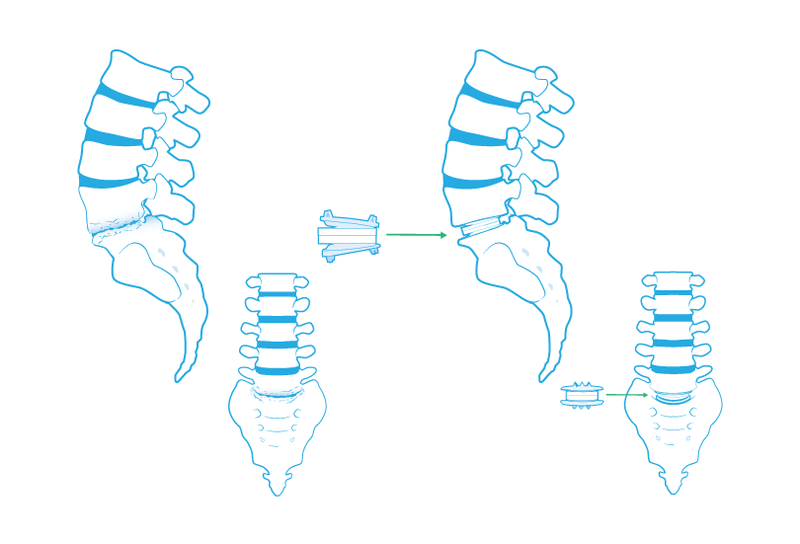 Disk replacement also eliminates the need to obtain bone from the hip associated with fusion procedures. The FDA approved the CHARITÉ™ Artificial Disc in October of 2004 after extensive review of the two year U.S. clinical trial results. In addition to these studies, total disc replacement with the CHARITÉ™ Artificial Disc has been performed in Europe for over 17 years and has been used in treating thousands of patients worldwide with successful results. There are additional risks associated with disk replacement and you should discuss these with your doctor. Hello to all, because I am really keen of reading this web site's post to be updated on a regular basis. Hello there, just became alert to your blog via Google, and found that it's truly informative. If you would like to grow your know-how simply keep visiting this website and be updated with the most up-to-date news update posted here. found this web site as a most excellent web site for newest updates.